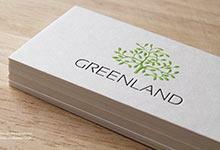 The Seawall business card template utilizes minimalist-inspired designs to make a powerful impact. Sharp and clean, the mirror finishing on the front of the card immediately attracts the attention of receivers, whilst original finishing on the back minimizes distractions from the finer details that have been etched into the card. Non-bleed etching serves as a luxurious addition to both sides of this 0.5mm thick design, creating a matte effect that enhances the sleek composition. High profile businesses such as insurance agents and financial advisors would benefit from this distinct design, which simultaneously promises strict professionalism and a minimal amount of fuss, alongside expertise that is guaranteed to impress. Those who receive one of these stainless-steel business cards are immediately assured of the capabilities and skills of the relevant company, conveyed through the distinct clear-cut layout that details their no-nonsense approach and trusted expertise.